It also provides suggestions for effective, strategic actions that will help you increase collective commitment to prevention investment at the local level along with proven activities and outreach tactics. Collecting accurate data is essential. It directly supports your prevention strategy. The facts tell the story and provide the answers you need to reduce fire losses in your community: what, who, where, when, and how. Your prevention strategy is based on addressing the true problem with solutions that have the best chance for success. It is critical that all personnel assigned to data collection understand and appreciate the relationship between good data and valuable resources being directed to prevention efforts. Good data help keep firefighters and the entire community safer. If you are using data from other sources to illustrate the need for increased fire prevention in your community, or to illustrate the benefits of fire prevention, be certain your sources are reliable and the findings can be validated. To provide conclusive support for fire prevention, the Surrey Fire Service in British Columbia, Canada, partnered with the University of the Fraser Valley and John Jay College of Criminal Justice to do a cluster randomized controlled study of local fire safety education. Documentation of the results of their study is summarized here in a PDF document. In 2008, the Surrey Fire Service (British Columbia, Canada) undertook a home visit program targeting high-risk households to provide home fire safety inspections and offer free smoke alarm installations. 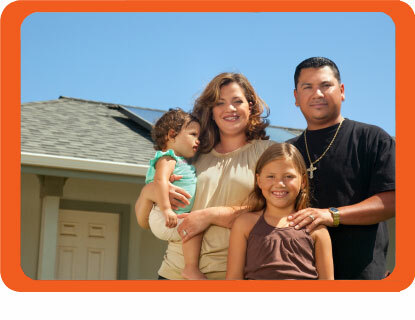 As of November 2010, the program had reached 18,473 high-risk households. Where possible, fire prevention information and smoke alarms were provided. Dr. Joseph Clare, along with colleagues, published the Surrey Fire Service findings in the 2012 Journal of Safety Research. During the evaluation period, they documented a 63.9 percent reduction in the annual rate of fires in the intervention area compared to 14.6 percent in control areas. The National Fire Incident Reporting System (NFIRS) is the largest database of fire incident information. It is used by some 23,000 fire departments in 50 states and the District of Columbia to report and track fires and other incidents to which they respond. The database comprises 75 percent of all reported fires that occur in the United States annually and includes input from 37 fire departments that protect populations over 500,000. NFIRS not only analyzes NFIRS data; it also collects reports from other agencies such as law enforcement, hospitals, burn units, public health departments and state fire marshals. Combined, NFIRS is a key resource to support your prevention program. The United States Fire Administration (USFA) provides an online resource for United States fire data, including fire death rates listed by state. Many state agencies provide their constituents with detailed fire data and other technical resources that can help local fire departments make sound budget requests. One example is the California Department of Forestry and Fire Protection website, which includes the Fire and Resource Assessment Program information. The Centers for Disease Control and Prevention (CDC) provides WISQARS, an interactive, online database that includes fatal and nonfatal injury and the cost of injury. Among ways this resource can be helpful is that users can sort the data and view it geographically, creating visual charts and maps.